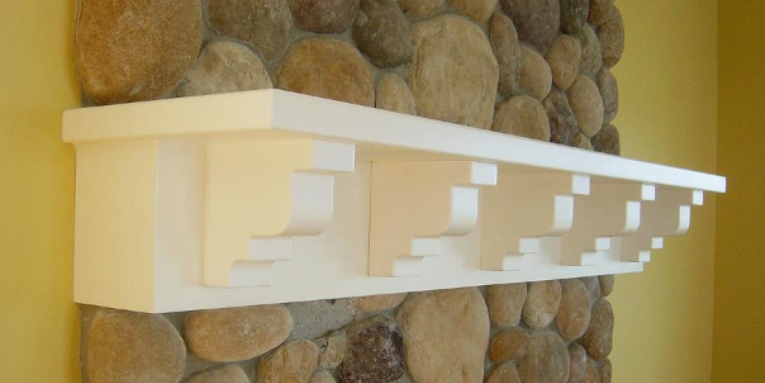 Add the perfect architectural detail to your home with a custom wood mantel from the artisans at General Woodcraft. General Woodcraft has been creating custom wood mantels for generations. A custom wood mantel makes an elegant design statement and creates a beautiful focal point around a fireplace, hearth or gas stove. We can help you create a wonderful wood mantel design and build it to your exact specifications. 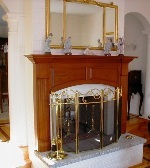 Let us work with you to design a custom mantel that will reflect your style and enhance your living space. For millennia, mankind has been gazing into fire and been mesmerized by its, warmth, glow and sense of wonderment. In today's fast paced world, we can still relax by the same glow experienced by our ancestors and share moments of peace and reflection. Whether you choose to create a painted mantel or would like a custom hardwood mantel in a warm and beautiful wood species to complete your design, we are here to help. Find out how the woodworking professionals at General Woodcraft can create a handsome custom wood mantel for your unique project. We are available Monday through Friday, 8:00 am to 5:00 pm by calling (860) 444-9663.